Pictured are accordionist Danny Yanez, left, and Esteban Jordan in an undated photo by Gilbert Ovalle. Over the years, the Rio Grande Valley has produced an incredible amount of great accordionists. There are so many wonderful ones here in South Texas that we sometimes take them for granted. One legendary figure is from Donna: the late, great Danny Yanez. I very much fell in love with Yanez’s unique accordion style when I first saw his videos. My dad would talk about him over the years, since he grew up in Donna and was very familiar with Yanez and his family. According to Yanez’s son, he played guitar with Elsa’s Esteban Jordan and he considered Jordan his favorite accordionist. Yanez would later start his own band called Danny Yanez y Los Chavos. He recorded several albums, including recording at Ramiro Cavazos’ Discos RyN, and was clearly influenced by Jordan’s accordion style and music. Yanez even recorded his own takes on “Borracho de Gusto” and “Squeeze Box Man,” classic Jordan tracks. Donna was a place that was fertile ground for Tejano, norteño, and conjunto music in this region. Yanez grew up in an area where Pedro Ayala and Los Donneños pioneered this music, where his peers were acts like Frankie Caballero, Los Hermanos Ayala, and Mexican Generation. The nearby El Rincon del Diablo was a place where many of Donna’s musicians would find themselves playing at. 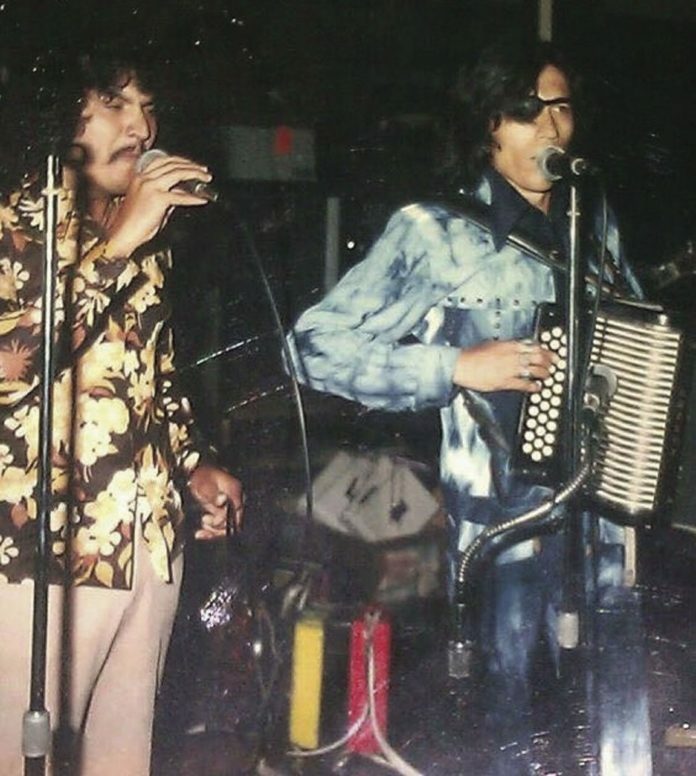 Yanez recorded with his accordion hero, when he and Jordan collaborated on the song “El Parrandero”, released on Little Joe y La Familia’s record “Nosotros La Familia de Little Joe” (1974). Later in life, Yanez was usually found playing at Christian churches and using his great skills there. He joined Paulino Bernal in the niche category of conjunto accordion-playing evangelists. During this phase of his life and career, he became known as the “Puro Holy Ghost” accordion player. To get a sample of how he played at church, look up the video “Danny Yanez & his Accordion” on YouTube. Wonderfully jazzy and unique. He was still clearly influenced by Jordan as he took Jordan’s “Gozalo Mulata” and turned it into “Gozate con Cristo.” You can also find that “Gozate con Cristo” performance video on YouTube, which would ultimately be Yanez’s final concert ever. He would pass away 7 months after that on Feb. 3, 2011. Yanez was a great talent, and someone I really regret not getting into when he was still alive and playing locally. Luckily I’ve heard a lot about his skills from my dad, including learning that two of my uncles played with Yanez, and from a friend who saw Yanez many times over the years. Also, I’m glad we live in an era where the sharing and distribution of videos is so easy, and that we get to enjoy the stylings of Yanez on the internet. Definitely one of the best accordionists in South Texas history.